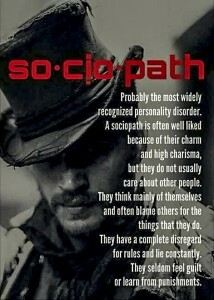 What to ask a Sociopath? One respondent, I read on social media to the Leigh Sales interview eager to hear about policy changes suggested the “Who are you?” question was trite and questioned her skill. I, on the other hand, found it an interesting question. The early questions were about the leadership spill and his policies. 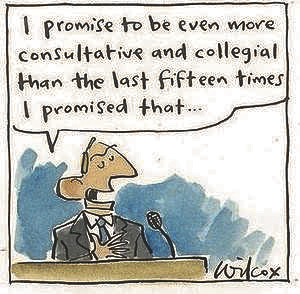 I think it would be a lot to expect Abbott to have completely revised his policies and have new ones fully developed having been challenged so damagingly by his political “friends”. I don’t think there was anything to see there. Even if he does rewrite his policies (which I don’t think he will) that would take time. There would be no point to asking what the new policies might be as he wouldn’t have them yet, given how committed he has been till now, to the current maligned policies. Perhaps it was these questions that were a more pointless exercise in asking, as he had only just declared at a press conference a few hours before that ‘good government starts today’. Aside from asking the obvious question of what had he been doing until that point (which she did if you watch the interview via the links above). You may note in the interview, he did just rehash his old policies and to be fair to him, what else could he have done? Now the latter part of the interview contained what I think from Leigh was a very insightful question. If I may dare to presume, his avoidance of that question reveals quite a lot about him. This is a question that anyone with a clear set of values would be able to answer. Having a clear moral compass helps to build capacity for empathy and comprehension of the emotional consequences of their actions on others. Even having a shred of internal insight might enable one to comprehend another’s emotional responses. So perhaps an insight into “who he is”, is simply not that available to him. The question “Who are you?” speaks to his insight into himself. His lack of answer tells you what so many people have already discerned. His moral vacuum and authoritarianism are already self-evident. His constant blinking when being challenged is indicative of his sensitivity to criticism. The “captains Picks” (and there were more than two of them) from the paid Parental Leave Scheme, the issue of dames & knighthoods, knighting a Prince, moving forward the spill meeting are all examples of impulsive behaviour, that is not grounded in a clear set of values. As for being a manipulative liar, well not only did Leigh raise the lies but Abbott in the interview immediately identified the most talked about ones, without being explicitly prompted, and began making excuses for them. 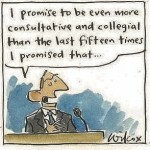 I think no one is going to argue rationally that he hasn’t lied to and misled the Australia people. Essentially Leigh is exposing the character of our Leader. It is an excellent question to ask given the history of characteristics that have been established. She is not identifying what is right or wrong with his policies. They have been argued for months on end. It’s his policies that have landed him in this mess. What she is identifying by these questions, is what sort of man we have as a leader. 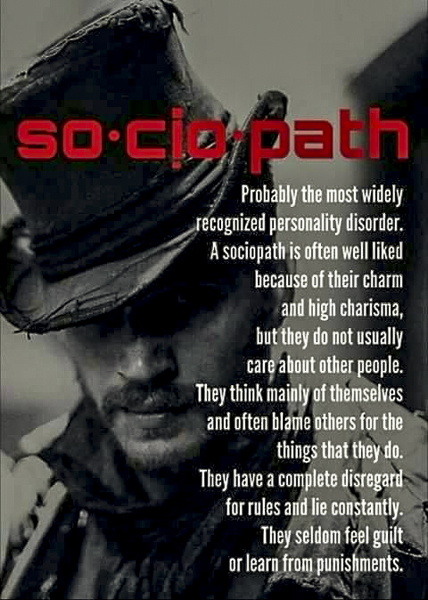 Short of a medical diagnosis, a number of articles have arisen asking the question “Is Tony Abbott a sociopath?“ such as the one by Alison Parkes. Also, Psychologist, Lyn Bender, has already examined Abbott’s duplicitous character in an attempt to remotely profile him in her article “What if Abbott and his cronies are just a bunch of psychopaths?”. If indeed, either is true, it would appear that Leigh Sales’s question to Tony Abbott is certainly a query that would be useful in the diagnosis of either.